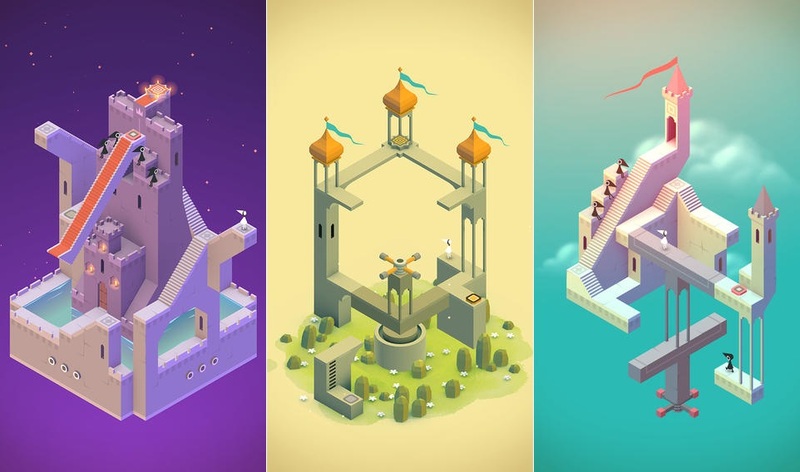 This small game on Apple’s app-store (£2.49) recently gained the title of editor’s choice, and they weren’t wrong. This game, however short, and however linear, is stunningly crafted and it’s optical genius leaves you feeling like you’ve experienced a piece of art. Although nothing grand, it’s stunningly crafted, with a lovely arrange of optical illusions for you to progress through. 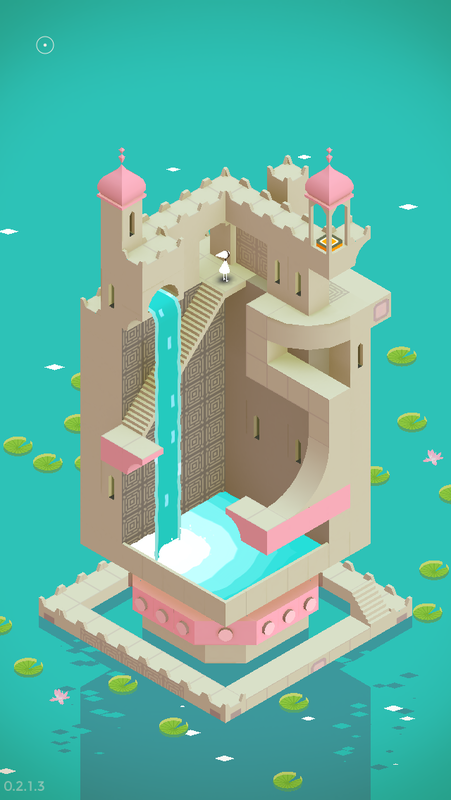 A surreal puzzle game with a very cute and endearing aesthetic, which is delivered seamlessly. The art style is matched by it’s musical score and makes for an enjoyable play, although once you’ve completed the ten puzzles, there won’t be much that will bring you back for more. There’s not much dialogue here, and what we do have is written, but the lack of voices gives more weight to each word and you really take note of what’s said, no matter how cryptic it may sound. 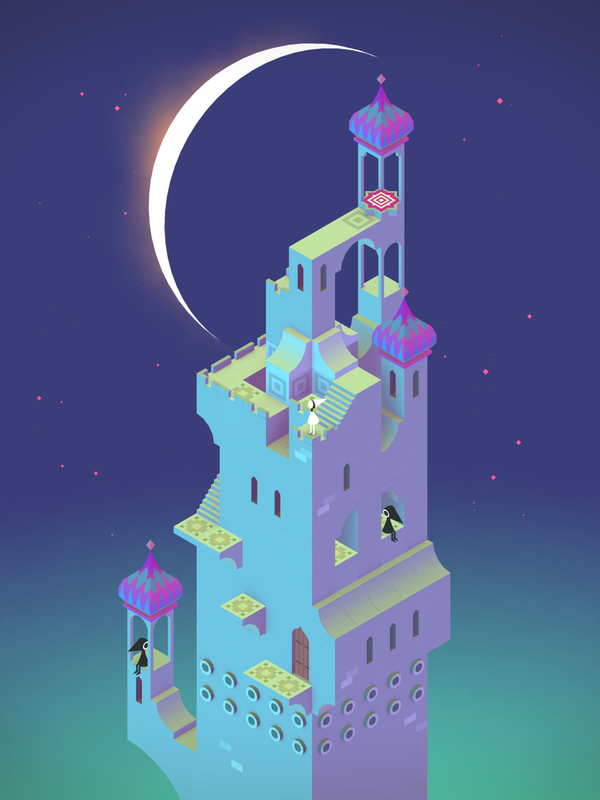 Monument Valley is easy to play, utlising the touch screen, you simply tap where to go or, swipe and drag to interact with the environment. To complete each puzzle you guide the princess around, whilst converting and twisting the environment she stands on. The only downside to such a lovely game is that there is no replay value, there are no reasons why you would come back for more, (other than to relive the experience). However, that being said it’s still a worthwhile experience and will eat up a commute to work, whilst putting a smile on your face. If you’re a fan of Journey, this will be right up your street. Fan of puzzle games? Spotted a great game in the works?